After almost a week of working on their one-of-a-kind, fabulous "trashion" pieces and task leaders Lou Yanong and Andre Brouillette keeping themselves busy, not only with their costumes, but with organising their "trashion" show as well, all the efforts of the Pinoy Big Brother Otso housemates were paid off as after winning their task for this week. 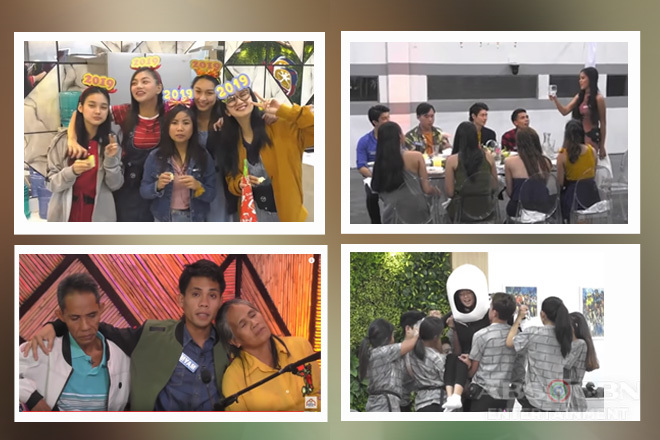 However, before they reached to this another significant achievement in their journey inside the Pinoy Big Brother house, the housemates had experienced several challenges, including the difficulty they encountered during their dress rehearsals. Since they were having a hard time strutting along with Wakim Regalado because of his humongous boat prop that Kuya forbade him to lift since it's part of his ensemble. Before they took over the catwalk, Big Brother introduced the three personalities who would determine their success for this weekly task -- the board of judges comprised by renowned fashion designer Mak Tumang, who crafted Miss Universe 2018 Catriona Gray's much-talked about lava gown, Miss International 2016-turned-actress Kylie Versoza, and model-actor and PBB All-In Big Winner Daniel Matsunaga. The trashion show commenced with the housemates showcasing their pride on their roots as they wore attires that represent the provinces and countries where they come from. Kylie commended their works, especially Mitch Talao's Filipiniana outfit inspired by Lucena, Quezon's Niyog-Niyogan Festival, and how their parade was choreographed by the task leaders. They scored 83.22%, after getting 73.33% from Mak, 85.56% from Kylie, and 90.78% from Daniel. Next was the summer category, wherein the housemates strutted in their striking beach wears. Daniel praised Wakim for his creativity in incorporating the Ilonggo Paraw-Regatta Festival in his masterpiece. Thus, together with Apey Obera, he earned 100 points from the Halik actor and the Precious Hearts Romances Presents: Los Bastardos star. By the end of the second round, the housemates got 85.37%, the average of the scores given by the judges: Mak=77.78%, Kylie=90.56%, and Daniel=90.78%. In the third part of the trashion show, the housemates wowed us with how imaginative they were in coming up with their bizarre costumes inspired by the Philippine Folklores. Together, they garnered 96.78% after acquiring 95.11% from Mak, 98.89% from Kylie, and 96.33% from Daniel. For the finale, the housemates rocked the ramp with their deviant yet stylish formal attires made up of recycled materials. 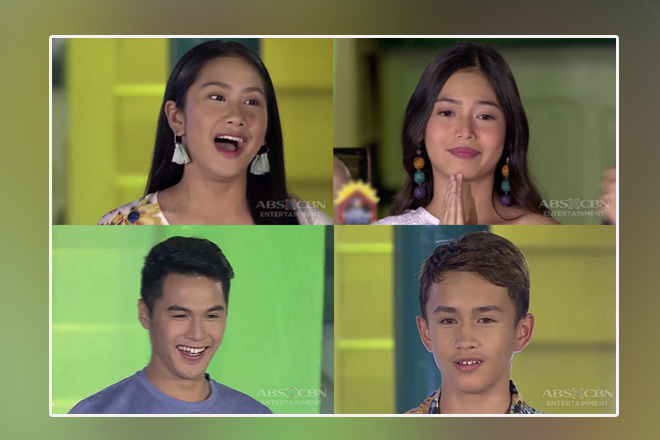 While his fellow housemates were parading, Andre hurriedly went back to the house to fetch the mom and two sisters of Lou and took them to the stage in order to give her Kuya's surprise. And they didn't fail as the "Rampa Sister of Mandaluyong City" got emotional upon seeing her Mommy Joy, Ate Nikki, and younger sister Raf standing on the runway with and smiling at her. They had a heartwarming reunion that truly touched everyone. Wakim dominated this round after receiving 100% from each of the board of judges. in order to win the task because of the high scores they received in the last two categories. In the end, they got 89.74% and were declared successful in their task!